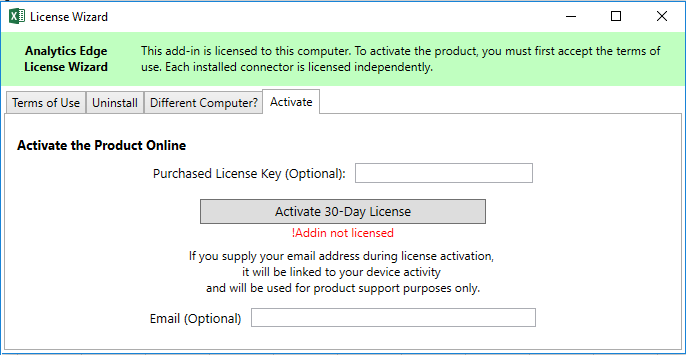 For the Standard and Core Add-in, you can activate a free 30-day license. If your trial period has expired and you have purchased a license key, enter it here then click the Activate button. This entry was posted in A. E. Core Add-in on 2018/06/08 by mike_sullivan.